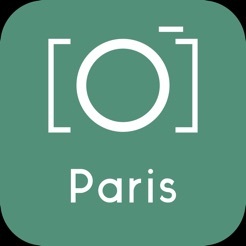 The best app for Paris. Experience the best itineraries or guided tours in this wonderful city! Much better than expensive guides! Don't get bored, you will learn and enjoy at your own rhythm. Our development team are professional tourist guides, who know what are your questions, what you would like to see and how to enjoy your time. 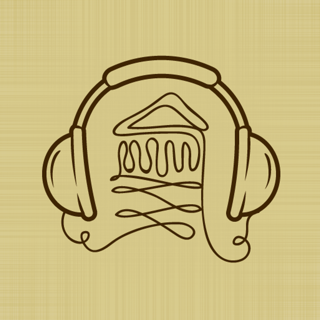 We don't give you tons of information, all you'll need, all you'll have. Optimize your time! but... Where do you start ? 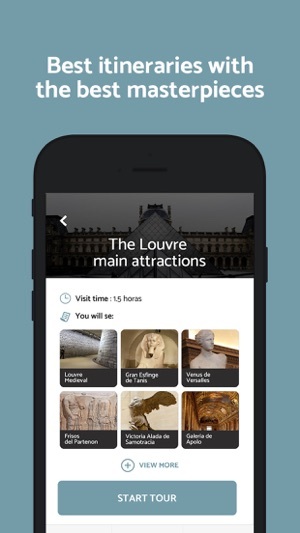 We propose you hourly itineraries to enjoy the city of love and arts as much as you can! Do you like to see pictures and other information about your favourite attraction? 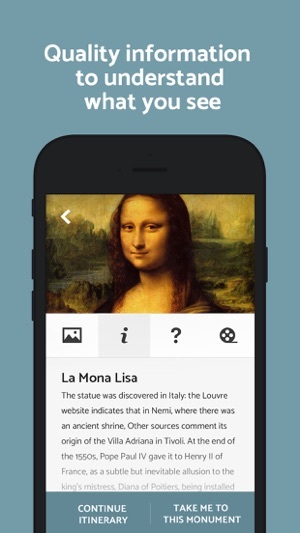 Now it is possible thanks to our pretty searcher module. 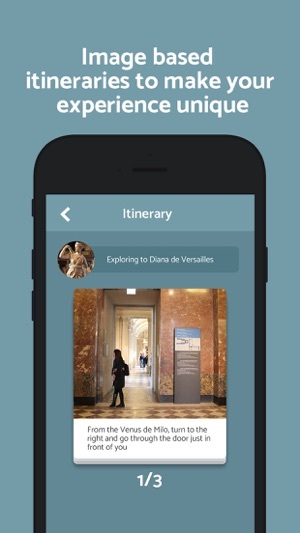 I discovered this app using the same of the Louvre and what is useful is that it gives you a walking guide around districts as Montmartre discovering less touristic places. It is not the kind of app that gives you only a list of places, it tells you which streets you have to take and let you guide by every interesting corner of the neighborhood. I totally recommend! !